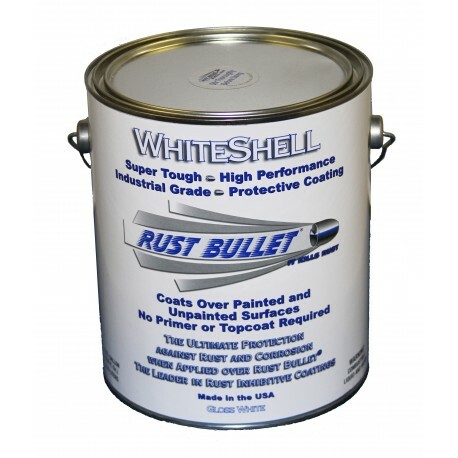 1 Gallon White Rust Inhibitive industrial coating. This tin will cover 400 square with a top coat of WhiteShell or 200 square feet if used as a stand alone application of 2 coats. The best rust paint and treatment available. 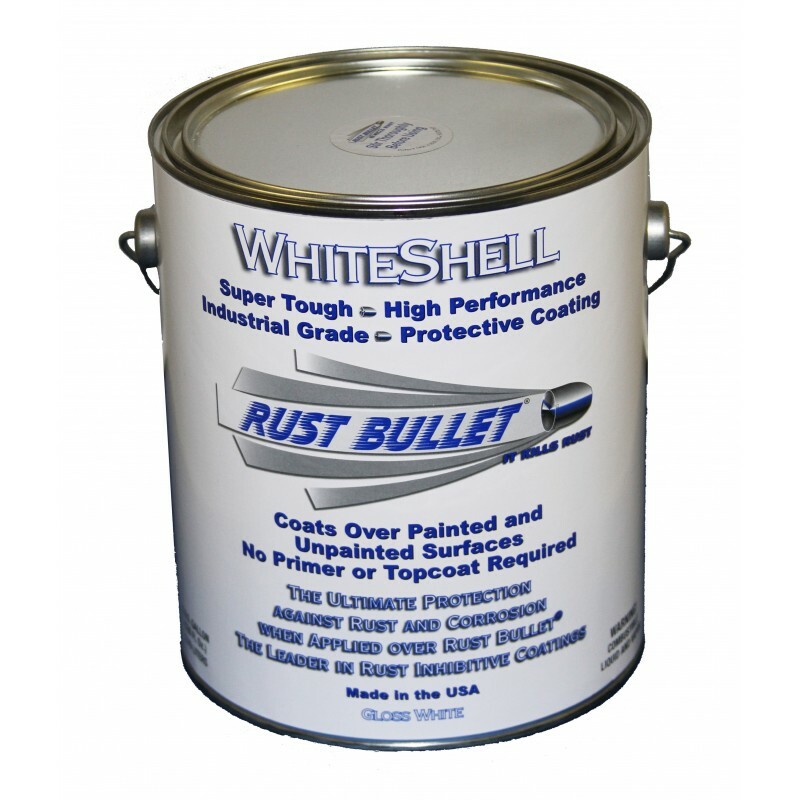 Can be used as a standalone coating but for best results apply over 2 coats of Rust Bullet Standard Formula.